A happy and prosperous 2013 to you. The last few weeks have been something. Among other things in the news, there have been shootings – God rest the souls of those dear children, a flu outbreak, and killer whales stuck under ice. 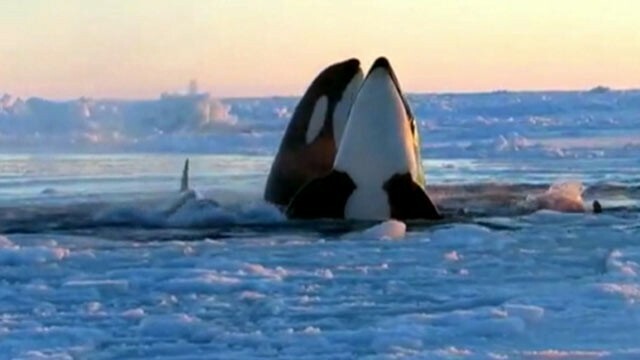 Killer whales stuck under ice. According to this news video, a family of 11 whales that had been stuck under the frozen surface of the Canadian Sea finally found hope; they found a hole in the ice through which they could jump to take breaths. What I actually find interesting about this story is how the whales took turns taking breaths through the hole. Now, that’s smart! Compare a handful of the human species, faced with a similar situation of limited resources. Some of us will fight the others to the death. It is sad to note that a lot of the things people actually squabble over are not worth the energy that is put into the fight. For example, we are all too familiar with the horror stories and frenzies often associated with Black Friday sales. I think there is a lesson to be learned from the above referenced story, and it is this: a little more respect and consideration for the other person goes a long way.